Blowout Sale! 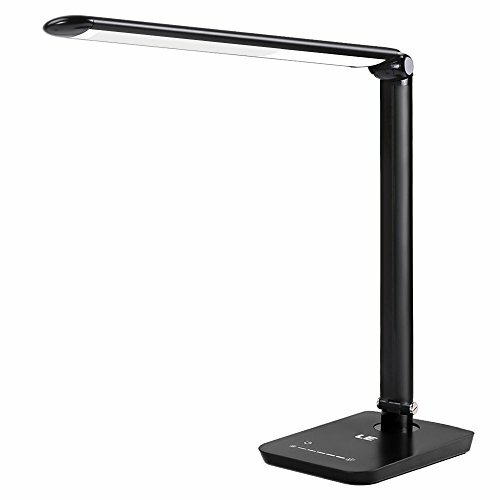 Save 55% on the LE Dimmable LED Desk Lamp, 7 Dimming Levels, Eye-care, 8W, Touch Sensitive, Daylight White, Folding Desk Lamps, Reading Lamps, Bedroom Lamps (Black) by Lighting EVER at Momiji Studios. MPN: 3100012-DW-US. Hurry! Limited time offer. Offer valid only while supplies last. ADJUSTABLE & STURDY: With a 270 rotatable lamp head, 150 adjustable arm and 340 revolvable base, the lamp is able to reach just about almost every position you can imagine. And thanks to the built-in base stabilizer, the lamp base will stay sturdy when you adjusting its angle.